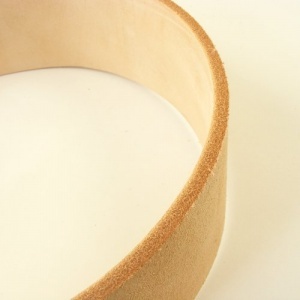 This top quality razor strop leather is made from undyed vegetable tanned cowhide. It's a full 4mm thick, with very tight fibres, and has been carefully buffed on both sides to produce the perfect surface for sharpening razors. 75mm (3") wide x 60cm (2 feet) long. 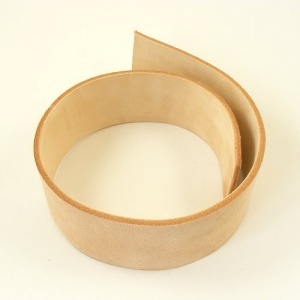 Also available in other widths, please see related items below.